Around 72 percent of Vietnamese women have joined the workforce, bringing the country to the group of nations with highest percentages of women in the labor pool. Despite their great contributions to the national economy, women still face numerous barriers to employment equality. According to a report titled “Women, Employment and Wage: An Overview on Female Workers in Vietnam” prepared by M.net, a network for migrant workers set up by Oxfam, female laborers account for 48.4 percent of the country’s workforce. In such industries as textile-garment, footwear-leather, seafood processing, and electronics, the rate surpasses 70 percent. The M.net’s report reveals that women constitute the majority of the jobless, making up over 57 percent of untrained, unemployed adults. For the groups of vocationally trained workers and bachelor’s degree holders, the figures are 50.2 percent and 55 percent, respectively. Looking at recruitment ads published in local media, one can easily notice such phrases as “male candidates preferred”, “being physically fit”, “single candidates will have an added advantage”. 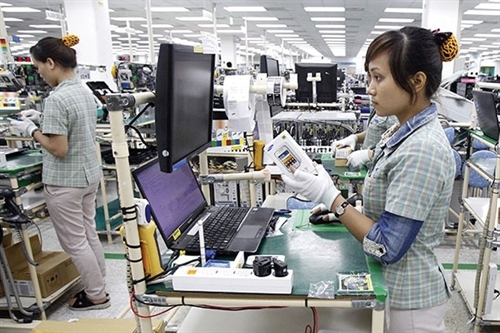 This is an apparent manifestation of gender bias in employment, a practice prohibited by Vietnam’s labor law, which has deprived women of many job opportunities. According to a study conducted by the International Labor Organization (ILO) and Navigos Search, of 12,300 job ads on VietnamWorks, JobStreet, CareerBuilder and CareerLink between mid-November 2014 and mid-January 2015, one-fifth included gender requirements. Among the recruitment postings showing gender preference, 70 percent specifically requested that the positions be filled by men whereas only 30 percent sought female applicants. Men were most often targeted for highly professional or technical jobs or jobs requiring much travelling such as architects and drivers with 100 percent of job ads requiring men, engineers, 99 percent, and IT professionals, 97 percent. Meanwhile, women were expected to perform office and clerical jobs like receptionists, secretaries and accountants. The story of Minh Thuy, a female truck driver in Ho Chi Minh City, is a typical example. “I have always been dreaming of becoming a truck driver. However, when I registered for a driving course, my instructor seemed extremely hesitant. He advised me to reconsider my choice, saying truck driving was a hard job suitable to men only. I had to affirm him that I was very strong and I could do it. Finally, I got a license and started to seek for a truck driving job. After being rejected by every freight company I applied to, I joined a taxi firm and worked as a taxi driver for a while and then used all my savings to buy a light truck. Now I’m self-employed. I’m a woman and I just want to be a truck driver,” Thuy gushed with the Lao Dong (Labor) online. Hong, a textile worker from the central province of Phu Yen, was not as lucky as Thuy. “I had been interested in technical subjects since I was a secondary school pupil. But when I decided to enroll on an electrical engineering course, my parents and all my teachers and friends dissuaded me from doing so, citing the reason that girls should choose cushy jobs rather than electrical engineering, which was for boys by default,” Hong recalled. Disregarding this advice, Hong became the only girl in a collegial electrical engineering class. “My male classmates seemed to dislike me just because I was a girl but dared to study such a discipline as electrical engineering. However, I was always among top students,” she said proudly. But the real problem had not come yet. After graduation with distinction, Hong spent a whole year travelling across the country but could not find out a job because “women were disqualified for the post of electrical engineer, regardless of their professional qualifications.” Hong then gave up her interest and settled as an industrial textile worker. “I think that as an electrical technician, I’m in no way inferior to men. I just don’t know what the top criteria for employers to select candidates are - their qualifications, strength or gender,” Hong wondered. In addition, women also face more challenges than men in career advancement. The ILO and Navigos Search’s study pointed out that up to 83 percent of management job postings with gender preference required male applicants. This gap was also found across other management positions, including “managers” and “supervisors” where 78 and 87 percent of job ads respectively only accepted male candidates. “Because women need to retire earlier than men, while also taking time out from work for child rearing and care of other family members, they are denied an equal chance for career advancement,” Malhotra wrote. The M.net’s report shows that women are paid around 11 percent lower than men for similar work. The gap is wider in jobs requiring higher levels of education. In 2016, the difference in income between male and female untrained workers was 8.1 percent, while it stood at 19.7 percent for graduate degree holders. The income of women in managerial positions was about 12 percent lower than their male counterparts. Women are working under worse conditions than men, the report states. Around 59 percent of waged male workers have employment contracts, while only nearly half of their female colleagues do. In the foreign-invested sector, the rate of male laborers under indefinite-term labor contracts reaches nearly 74 percent, while it is just 68 percent for female employees. Although accounting for the majority of the workforce in the country’s key export sectors as textile, footwear and seafood processing, female laborers in these industries are working under unhygienic conditions. More than 68 percent of female workers in shoe factories have had gynecological infections, the report reveals. For the time being, no one can deny the benefits of gender equality for the economy. “Everyone thinks that it’s right to promote gender equality and create a fair working environment between men and women and wishes to do so but in reality not everyone is sensitive enough to realize inequalities or one may realize the unfairness but easily accept it because it fits longstanding preconceptions,” Huynh Thi Ngoc Lien, Head of the Ho Chi Minh City Labor Confederation’s Department for Women-Related Affairs, was quoted by the Lao Dong newspaper as saying. “Surely, a gender-balanced environment will benefit not only employees but also employers, state authorities and the whole society,” she affirmed. Most experts shared Lien’s idea. Ngo Thi Ngoc Anh, director of the Community Development and Family Gender Research Center, told the Vietnam News daily that a fair and just perspective from policymakers is much needed to create equal opportunities for all laborers in the country. “The revision of the Labor Code presents Vietnam with one crucial opportunity to get its legal framework right and navigate Vietnam in the direction of sustainable development that benefit all,” he said. Meanwhile, Pham Minh Huan, former Deputy Minister of Labor, War Invalids and Social Affairs, believed that employers play a major part in ensuring equal opportunities for female laborers.